In a race to prove who's the biggest game in town, Top Rank and ESPN continue to up the ante. 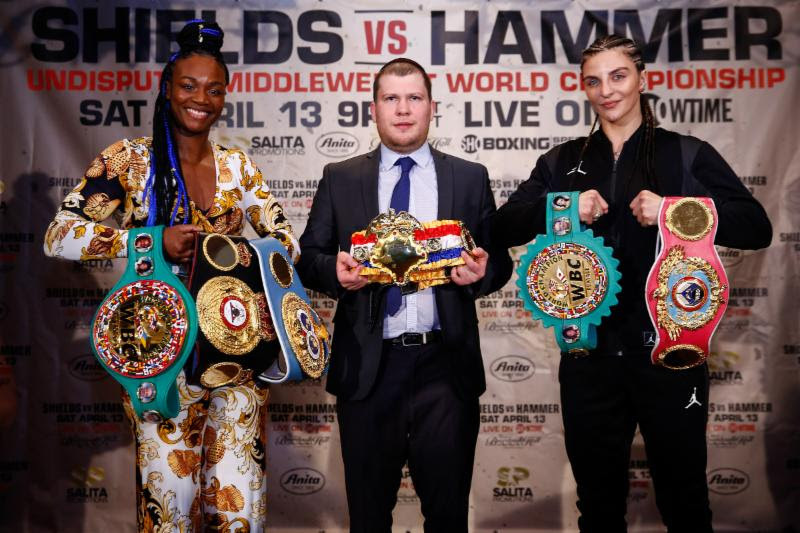 On the heels of all-sports streaming app DAZN officially launching in the United States as well as PBC's blockbuster network renewals with Showtime and Fox, Top Rank has announced on Tuesday a multi-year partnership with Hall of Fame promoter Frank Warren. The union will provide Warren's Queensberry Promotions with a firm North American platform for his UK-based shows, all of which will now air live on ESPN platforms for the next several years. The first show under the partnership will begin October 6, with unbeaten 140-pound contender Jack Catterall entering a dangerous crossroads bout versus Ohara Davies live from Morningside Arena Leicester in Leicester, England. Between Warren and Top Rank CEO Bob Arum, the series will now boast a pair of Hall of Fame promoters with more than 90 years in the game. The two have plenty of history together—not that either side needed much enticing in securing a no-brainer of a deal. "I am absolutely delighted and honored to announce this landmark multi-year deal with Top Rank that will see my promotions going forward featured regularly on the ESPN platforms in the U.S. and Canada,” Warren said. "This was a very attractive opportunity to us due to the level of exposure our stable of fighters will benefit from by being showcased by one of, if not, the biggest broadcaster in sport. The October 6 show perfectly complements what has become a steady stream of content for ESPN and its various platforms since renewing terms through 2025 with Top Rank. ESPN and/or ESPN+ now has six guaranteed fight night dates over the course of the next eight weekends, beginning with the September 140-pound title showdown between unbeaten defending titlist Jose Ramirez and undefeated challenger Antonio Orozco.